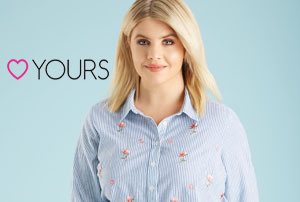 Yours Clothing are a fast growing and much-loved plus size fashion retailer from the UK. We believe that fashion is for everyone, regardless of size. Find flattering styles in sizes 16 – 36.